What is a painting and how can you define it? That is the most important question to ask when you work as a painter. It is a discussion that seems to reappear in every generation. Painting was only recently declared 'dead' and no longer 'valid' but it still thrives today. If we look at the recent history of painting we can see that it was off the map at Documenta X, no longer a topic for consideration. Yet the painter's eye survived and appeared in the form of non-physical new media and photography. When the physicality of painting re-appeared in the mid nineties it was dominated by the figurative. Was painting actually returning to a conservative figuration? Should its surface depict a recognisable representation of the world? The answer to that question could be as a negative opposition - abstract painting. We saw Mary Heilmann 'become someone' and Tomma Abts win the Turner Prize. Saatchi discovered 'Abstract America', and other institutions put up 'Conversations on Abstract Painting'. It would be silly to say that the institutional agendas are dictating the perception of art, but one cannot deny that this clearly illustrates that the reception and endless discussion about painting being dead, or even conservative is wrong, quite the contrary. Painting is still in a state of flux and encouragingly ever changing. These observations and questions on painting are represented in this exhibition as a state of interplay between abstraction and figuration. The four artists here are showing a small section of what can be considered as expanded painting. Auf der Spitze des Eisbergs, a selection of works by a generation of artists who work with paint today. Michiel Ceulers studied his MA in Painting at KASK, 2007-08, and his BA in Fine Art at KASK, 2004-06. He has recently accepted his place at the two-year course at the Rijksacademie, in Amsterdam. The artist solo presentation-opened Rod Barton Gallery in March this year and he has exhibited widely in Ghent, Antwerp and Brussels. Later this year Ceulers will also be presenting a solo exhibition at his represented gallery Maes & Matthys Gallery in Antwerp. Bas van den Hurk, the newest member to the gallery is an international Dutch painter working with paint and the found object. He has exhibited extensively in various group exhibitions in Europe, North America and Japan; most noticeably he recently participated in an exhibition at the Museo de Arte Contemporaneo, Oaxaca, Mexico. His first London solo exhibition is planned to be at the gallery in 2010. Daniel Pasteiner graduated from the Royal College of Art, MA Sculpture in 2007. July this year sees Pasteiner open his first major solo exhibition at the A-Foundation in Liverpool. 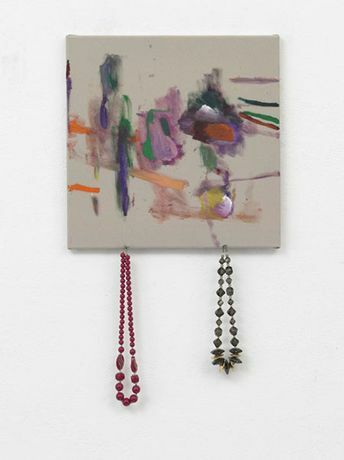 Last year he had two solo exhibitions; 'Twilight in the Anti-World' at Suzie Q Projects, Bob Van Orsouw, Zurich, and 'Paintings of Colour' at Rod Barton Invites, London. James Ryan graduated RCA, MA Painting 2007. Paintings, his debut solo show in London opened last month at Studio 1.1 in Shoreditch. Parallax, was at the Corn Exchange Gallery, Edinburgh in 2008 and he has been in a number of group shows include Light Pollution at Rod Barton Invites, London and New Contemporaries, London, Manchester, Walsall, 2007.